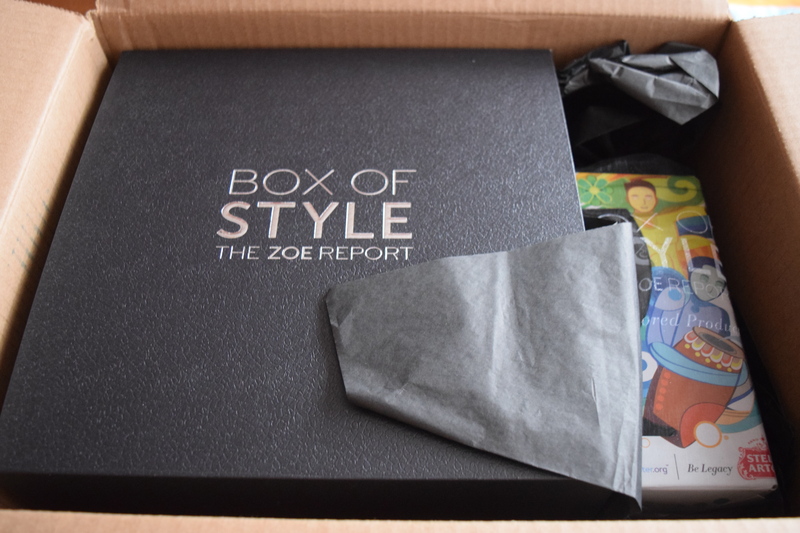 To offset the inexorable sadness that is Monday, I’ve got my favorite sub box to review – Rachel Zoe Box of Style This is a quarterly subscription that features high end brands. Right now through May 1, 2017, there is a great promotion going on for $20 off your subscription. Just use code SPRING20! I am really psyched about this box’s theme as I love to support female founded brands and companies. In this current political climate, we all need to look out and help each other as much as possible. In addition to our fancy black box, we got an awesome extra. 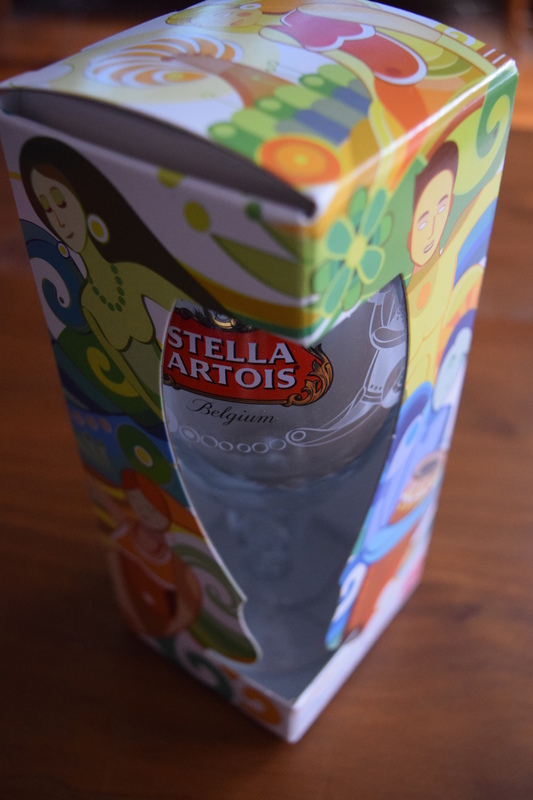 These chalices have beautiful artwork designed by artists from Brazil, Cambodia and Uganda. (I believe mine is from Brazil). They are not only lovely to look at, but they help bring clean water to people that desperately need it. A win for everyone. This is an exclusive collaboration that happens to match exactly to a clutch sent out by Popsugar, so now I have an adorable set. 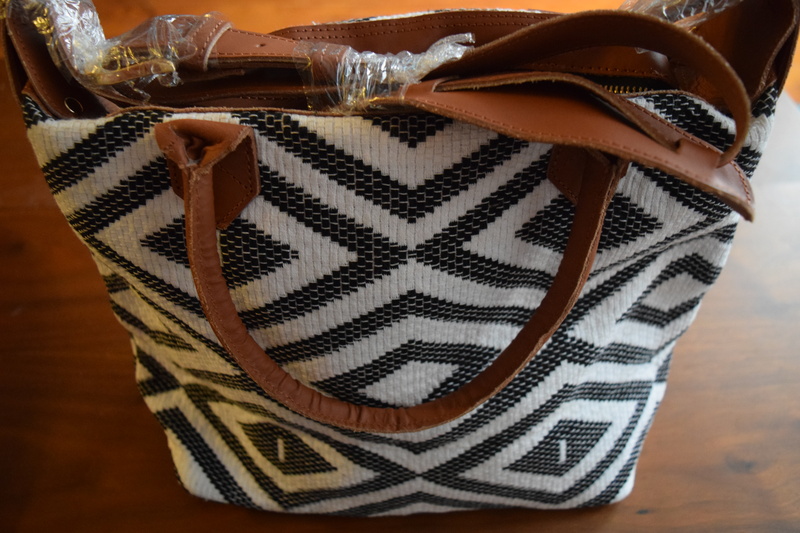 I love handmade items and the fact that this helped give women a way out of poverty and a job they could be proud of, makes this bag even better. 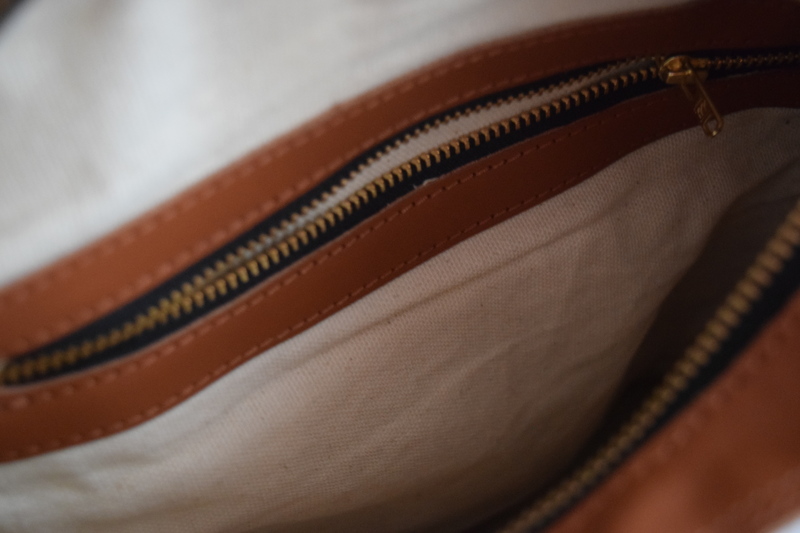 The only downside is that from the spoiler pics, I thought it would be a bigger tote, but to me it’s more purse size than tote bag (if that makes sense). I love that we were able to select whether we wanted gold or silver. 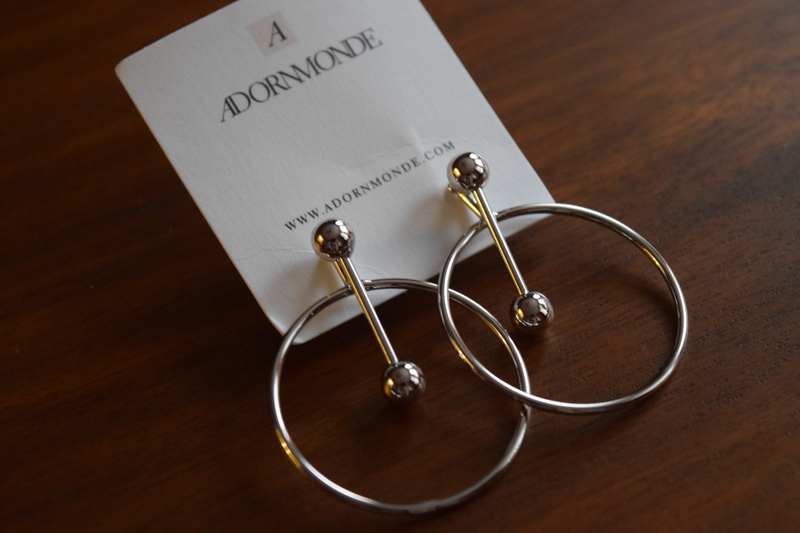 I already own some gold hoops, so I opted for the silver, but I would have been happy with either. The transformer-esque quality to this earring, lets you have different looks – from edgy to classic. I wouldn’t have normally chose this style, but it’s part of why I love this sub. It lets me try new styles I might otherwise shy away from. This is another exclusive collaboration. 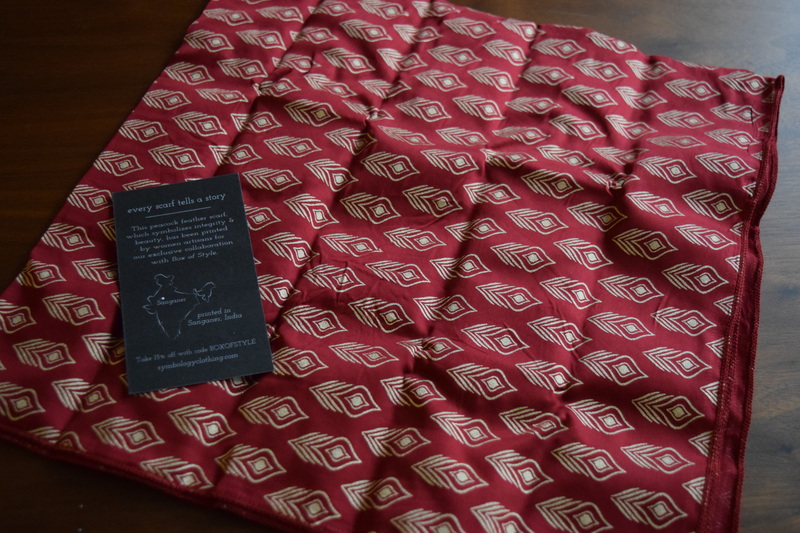 The scarf is very pretty and can give both a professional and global chic vibe. The little card inside says that the “peacock feather scarf symbolizes integrity and beauty” and was printed in Sanganer India. 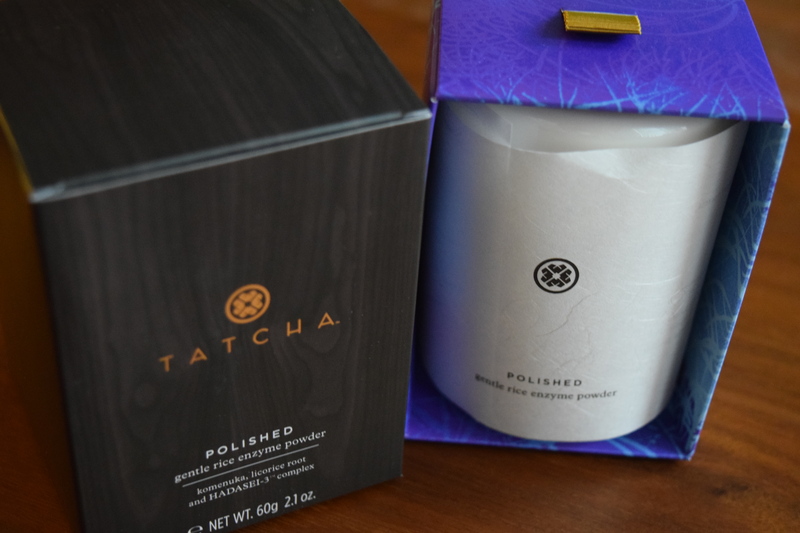 I’m all about exfoliators and Tatcha is a brand I’ve heard good things about. I’m excited to incorporate this into my skincare routine. I’ve been hoardingfancy pants products to turn my new bathroom into a spa and this is going into the collection. 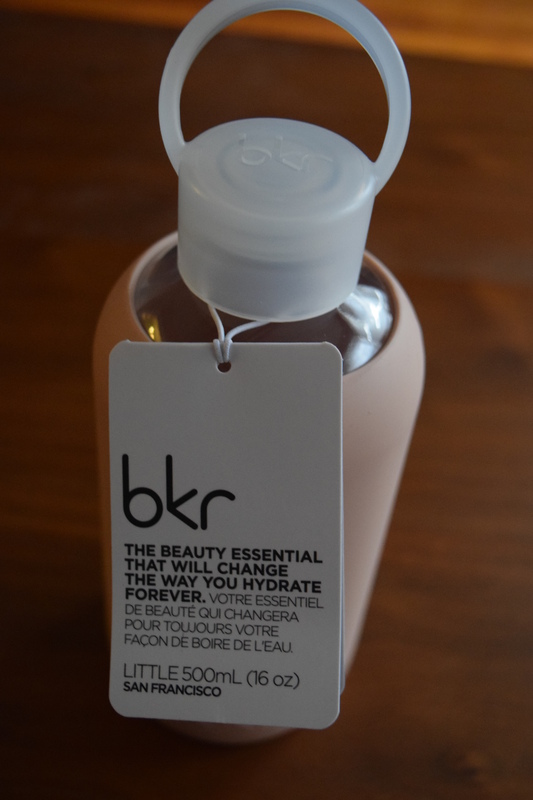 I know, I know I usually hate water bottles because I have eleventymillion of them but this one is so lovely that I’m making an exception. I’m also trying to force myself to drink more water (and less Coke Zero) so this will help the cause. One of the things I love about this sub, is that Rachel manages to choose items that can appeal to women of all ages. 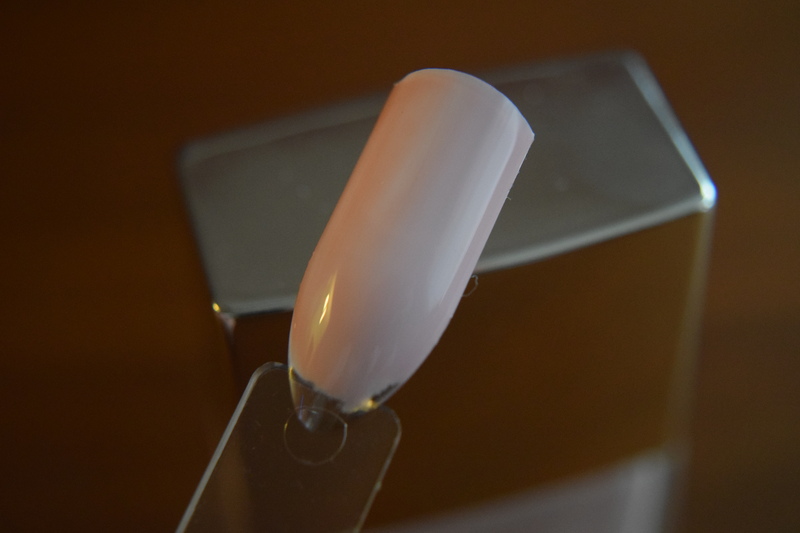 This shade would look lovely on a Co-ed or a grandmother, on someone with light skin or dark. It works for so many different subscribers. This may be one of my favorite of Rachel’s boxes. 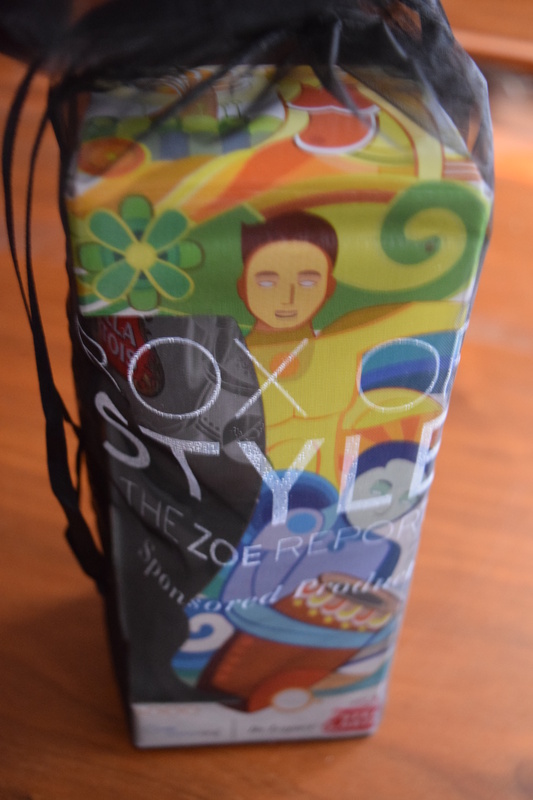 First, I loved the theme and that many items helped support women and causes in developing countries. From a fashion standpoint, this included some fun exclusive collaborations and I will use and enjoy every single thing in the box. Including the chalice, the value on this box was a whopping $481. That’s a huge return on a $100 investment. 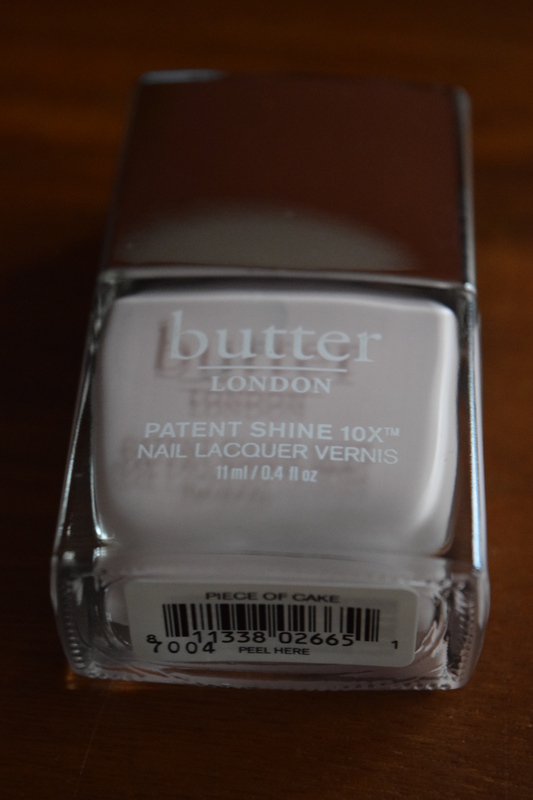 Everything included was wonderful quality and I can see the pieces lasting for quite some time. A great start for 2017. What did you think of Rachel’s Spring Box? 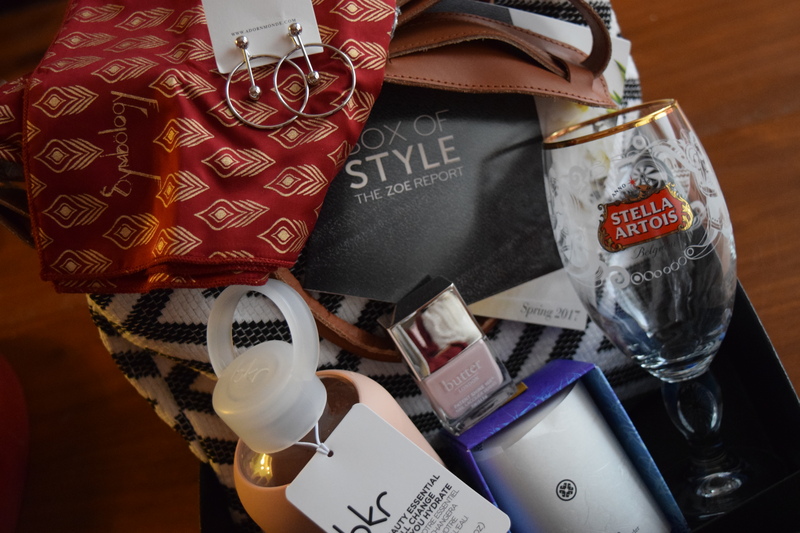 Box of Style has Fashion, beauty and lifestyle items you’ll be obsessed with! Over $300 worth of product in every box. DISCOUNT! : Use code SUBTHERAPYSP10 to save $10 off!